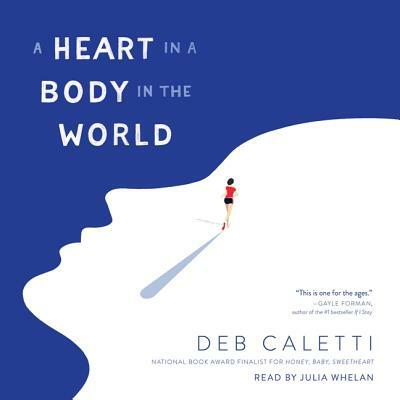 A Heart in a Body in the World (Compact Disc) | novel. -muscles burning, heart pumping, feet pounding the earth. But no matter how hard she tries, she can't outrun the tragedy from the past year, or the person-the Taker-that haunts her. Followed by Grandpa Ed in his RV and backed by her brother and two friends (her self-appointed publicity team), Annabelle becomes a reluctant activist as people connect her journey to the trauma from her past. Her cross-country run gains media attention and she is cheered on as she crosses state borders, and is even thrown a block party and given gifts. The support would be nice, if Annabelle could escape the guilt and the shame from what happened back home. They say it isn't her fault, but she can't feel the truth of that. Through welcome and unwelcome distractions, she just keeps running, to the destination that awaits her. There, she'll finally face what lies behind her-the miles and love and loss ... and what is to come.